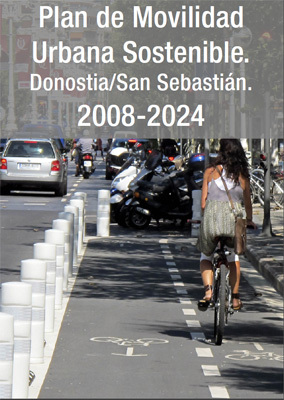 The San Sebastian Sustainable Urban Mobility Plan 2008-2014 is an amended document conceived as a “framework” of objectives and planning in the short, medium and long term. This framework encompasses programmes of action and proposals that will be modified over time by continuous revision and evaluation. The Sustainable Urban Mobility Plan 2008-2024 must encompass all urban mobility policies to be developed by the City Council, without forgetting the regional context (although not actually municipal competences, the Plan includes proposals that affect mobility in the corridors of access to San Sebastian and involve the local Administrations, Provincial Council, Basque Government and Spanish National Administration as the necessary agents of an overall proposal for mobility throughout the region). The document integrates the different actions aimed at modifying and influencing the guidelines to mobility of the population of San Sebastian.